By trade, I'm a freelance writer and editor, meaning I have professionally bad posture and drink an unhealthy amount of coffee. I build with words when I'm not constructing LEGO sets for display on my desk. I've contributed to a number of venues, including The Daily Beast, The Week, Vox Nova, and Frisco Style Magazine. 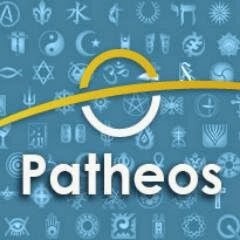 I blog regularly at Patheos and Ordinary Times. 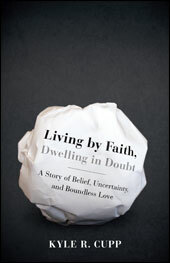 My book, Living by Faith, Dwelling in Doubt, was published by Loyola Press in 2013. I write about culture, current events, family life, literature, movies, philosophy, politics, and religion. You can follow me on Facebook and Twitter. My email is kyle (at) kylecupp (dot) com. Human life is cultural and not merely natural. We remain unable to spell out this distinction as clearly as we would like, but it remains undeniably the case that even the most mindless couch potato does not live by instinct alone. Our lives are embedded in ideas (and thus texts) and practices (and thus institutions) that are handed down to us and that we make our own, thus giving form and content to our existence, by (re)interpreting them. It may seem as if the concept of faith has become a line in the sand: you either have it or you don’t. And if you have questions, then you don’t. But such stark statements like this are not only untrue, but also lead to more questions. Do questions and uncertainties negate our faithfulness? If faith is all or nothing, how do we navigate the in-between and find our own conclusions? What about during difficult times, when we feel especially confused and wonder, “Where is God?” Finding God in our current culture of zealous rhetoric can leave us overwhelmed and uncertain where to turn. In Living by Faith, Dwelling in Doubt¸ Kyle Cupp explores how the path we take to find our faith requires a mindful examination that ultimately strengthens our connection to God. Nagged by these same issues, Cupp applies his own experiences to dig through the swirling questions of faith. By contemplating topics such as the pursuit of truth, finding God in the bleakest moments, and coming to terms with the unknowing, Cupp discovers that walking through the darkness can lead to true freedom in faith. For all who wonder where to go when conflicted by substantial questions, Living by Faith, Dwelling in Doubt offers a way to find our faith within the murkiness of uncertainty. As Cupp demonstrates how uncertainty doesn’t kill faith but rather is a condition in which faith can thrive, the line in the sand slowly begins to wash away. You can purchase the book from Loyola Press, Amazon, and Barnes & Noble. "Candid, sincere and always refreshingly honest, Living by Faith, Dwelling by Doubt is one man's story of faith -- lost and found -- which will give you pause to consider your own trajectory of belief. Read, ponder and believe." "In this memoir, readers will find many of the facts they know so well as to find cliche ("God is Love," "Faith is a gift," etc.) refracted through Cupp's experience until we find these truths vivid, jarring, and urgent again. "Living by Faith, Dwelling in Doubt is a powerful and moving account of one man's journey of faith. Cupp writes with humor, compassion, love, and no small amount of wisdom in the face of life's most profound mysteries. His examples are wide-ranging and eminently relatable: from video games, pop culture, teenage jobs, and middle school angst to the depths of love, loss, birth, and death. Here questioning and exploration win out over triumphalism and easy certainties, and Cupp illustrates how the otherness in our experience can give birth to an uncontainable love even in the face of doubt, weakness, brokenness, sadness, and perhaps most powerfully in the face of the appalling suffering of children that Dostoevsky rightly identified as the strongest challenge to faith. In the midst of this incomprehensible mystery, Cupp argues that faith in God is love and that we are never more 'religious' than when we love, which helps us to find worlds of meaning even in the confused and broken fragments of the postmodern condition." "The book is Kyle’s testament of his own personal history with doubt, and how that doubt has actually strengthened his relationship with God and the Church. Regular readers of Kyle on this site will by unsurprised to find the prose thoroughly accessible even as it delves into heavier and even difficult subject matter. Throughout, he weaves his own history, nerd culture, modern philosophy and theology into a bare, lean and honest tapestry. It is, in turns, delightful, funny, and wrenching." "This book is both a treatise of personal faith and a tribute to the eternal nature of love. Cupp’s descriptions of preparing for the birth, baptism and burial of his daughter were especially heart-rending, as he shares his story with emotional honesty. While I am grateful that I cannot imagine the pain of burying a child, I am reminded and inspired by his words to have empathy with those who have suffered this unimaginable loss. Our generation has been accused of being self-indulgent and of oversharing, particularly on social media. But, for me, there is inherent value in sharing one’s story, to help others glimpse a new perspective of life. Cupp encapsulates this sentiment early in his book: “Your unique place means that you will see the sun and what’s under it from a different perspective than others.” Only he can tell his story; only he can understand his experience from within it. Yet, when I read Cupp’s words, both his and my experiences are illuminated, and I feel that I understand life in a new light." "Kyle's book explores the tension between faith and doubt on levels that are both intensely personal and all-embracing. His meditations on the meaning of life, the existence of or nonexistence of God, and, ultimately, the power of love to transcend time, space, and human existence itself, simultaneously pull the reader into his world and prompt the reader to explore his or her individual, unique perspectives on these animating issues in new, and I found, enlightening ways."